Jada Pinkett Smith is a popular American actress and singer. She not only starred in the movies Scream 2, Collateral, Ali, The Matrix Reloaded, The Matrix Revolutions, and so on, but also created a metal group Wicked Wisdom where she became a composer and a vocalist. Besides, she tried herself as a producer, director, writer, and entrepreneur in the sphere of music. People also know her as the wife of the star actor Will Smith. Jada Koren Pinkett Smith was born in September 1971. Her mother got pregnant at high school; under these circumstances, the girl’s parents married but broke up several months later. The grandmother Marion officially supported her daughter and became the babysitter. Jada Pinkett Smith has Indian, Creole, Portugal, and Jewish roots. The girl demonstrated her bright artistic talents from the early childhood. The loving grandmother noticed that and insisted Jada be taken to a music school. Jada’s mother Adrienne Banfield-Jones, the chief nurse in a Baltimore clinic, supported this idea, and the girl started learning how to play the piano. Soon, she took up choreography lessons: little Jade was very flexible. Ballet and tap dancing became the integral parts of her daily life. Jada Pinkett Smith went to the special school where students could choose dancing and theater as their major. As the future star graduated in 1989, she moved to Los Angeles determined to build a brilliant acting career. The young actress debuted in an episode of the comedy series True Colors in 1990. The series Doogie Howser, M.D. and 21 Jump Street followed. 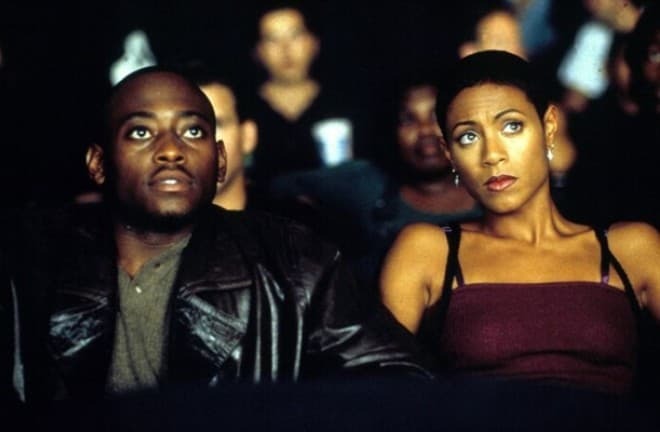 In the late 1990s, Pinkett Smith was taking one successful step after another, and her roles were more and more remarkable. Critics began to notice the woman and appreciated her work in the comedy A Low Down Dirty Shame where she collaborated with Keenen Ivory Wayans. The New York Times published a review and called Jada’s acting bold and sizzling. Further on, Pinkett Smith played in the comedy The Nutty Professor starring Eddie Murphy. In the first weekend after the premiere, the movie’s box office was $25 million; all American movie theaters showed The Nutty Professor. The next movies, Set It Off and Scream 2, were equally favored: they were highest grossing, and the reviews were glowing. The reputable San Francisco Chronicle welcomed the actress’s work. Jada Pinkett Smith is also known as a singer and musician. In 2002, she organized the metal group Wicked Wisdom; her music stage name is Jada Koren. 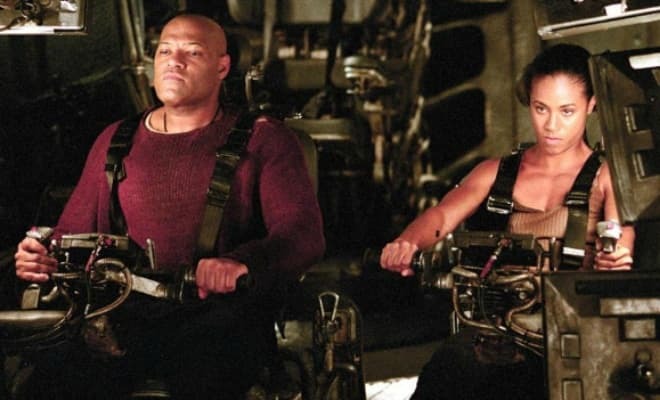 Jada Pinkett Smith became famous only in 2003 after the sci-fi action movies The Matrix Reloaded and The Matrix Revolutions. The role of Niobe proved to be starring. The success was followed by a decline. In 2008, Pinkett Smith played a gay writer Alex Fisher in The Women. Although the popular celebrities, such as Eva Mendes, Annette Bening, and Meg Ryan, participated in the project, it was no success. 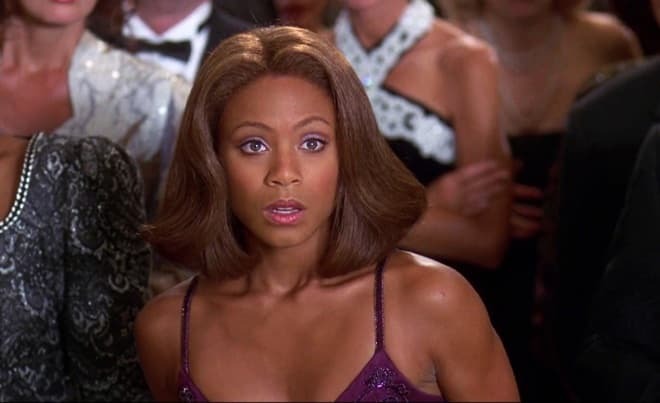 Jada was even nominated for the Golden Raspberry Award. The same year, the star managed to redeem herself and debuted as a director. Jada’s The Human Contract where she starred was shown at the Cannes Film Festival. In 2014, the actress’s career took off: she got the role of Fish Mooney, the crime family leader, in the crime fantastic TV series Gotham. Her character made a bright antihero figure and the main antagonist in the second and the third seasons. The series is based on the popular DC Comics; it is set in the universe of the most famous character, Batman. However, the TV project focuses on the man’s childhood and gradual development instead of adventures and deeds. Some movie critics and comics fans believe Gotham is the best TV series based on DC Comics. Pinkett Smith was nominated for the NAACP Image Award for Outstanding Supporting Actress in a Motion Picture and even the People’s Choice Awards Favorite Actress in A New TV Series for her role of Fish Mooney. Unfortunately, she gained no prize. In 1990, when the movie The Fresh Prince of Bel-Air was shot, Jada met Will Smith. The actress auditioned for the role of Will Smith’s girlfriend, but failed because of her small sizes: her height was 151 cm., and her weight was 45 kg. There was the affection between the actors which later transformed into their friendship. Five years later, they started a love affair; in 1997, the couple married. Two children were born in the family: Jaden and Willow. Will’s son from the first marriage, Trey, is also the family member. In 2011, Jada’s private was widely discussed in tabloids: there were many speculations the star couple was going to split up because of the woman’s affair with Marc Anthony that allegedly started when they were working on the series Hawthorne. Soon, the couple’s elder son Trey denied the information, and Jada and Will quashed the rumor as well. There are several Instagram accounts under Jada Pinkett Smith’s name, yet none of them has been officially verified: they are either fan groups or fakes. Jada often appears on her husband’s page. At the end of 2017, the actor registered on Instagram, and the first posted photo brought him a million followers in the first day. Today, more than ten million people have subscribed to Will Smith’s page. In 2016, Jada Pinkett Smith played Stacy in the American comedy Bad Moms telling the story of several women who got tired of being perfect mothers and wives and decided to party, rest, and have some fun. In 2017, the actress’s personal life attracted much attention from the media again. During the talk show Sway in the Morning on the radio channel Sirius XM, she confessed she used to sell drugs when she studied at the Baltimore School for the Arts. At that period, she dated Tupac Shakur. As Jada said, the relationship was built on the co-survival, and there were no romantic feelings between them. The actress did not give the details but told the radio audience she was writing a book about that period. 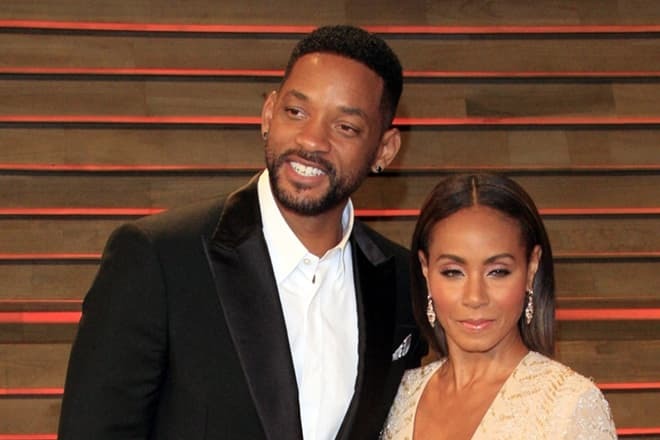 In 2018, the rumors about Jada and Will’s divorce reemerged. According to US Today, when the grown-up children moved out from their parents, the couple experienced the so-called empty nest syndrome. Jada Pinkett Smith and Will Smith decided to try living separately, and it turned out to be simpler for both of them. Besides, US Today claims the stars visit a family psychologist, but there has been no tangible progress. Neither the actors nor their children comment on these rumors and do not deny the divorce speculations as it used to be in 2011.